The complete signature capture solution for your IBM i documents. 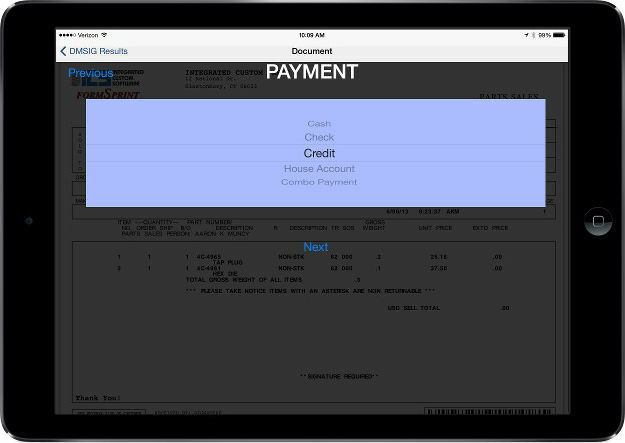 Signature Manager on your iOS device can be used to easily find, group, and display your customer forms. After collecting your customers’ signature you can add notes and pictures before automatically saving or distributing. 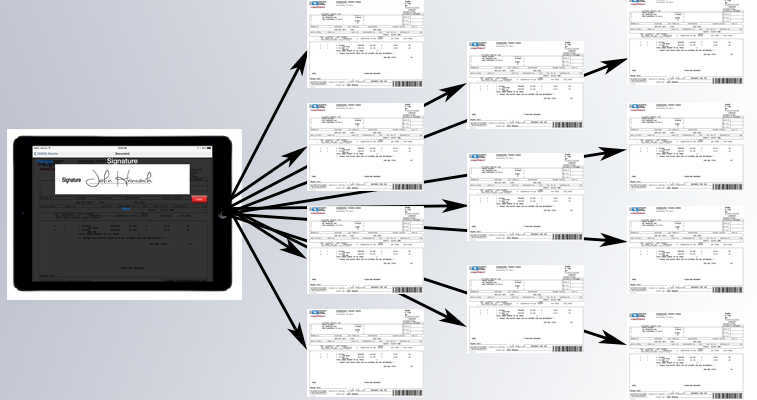 Do you want a paperless way to merge customers’ signature with their documents? 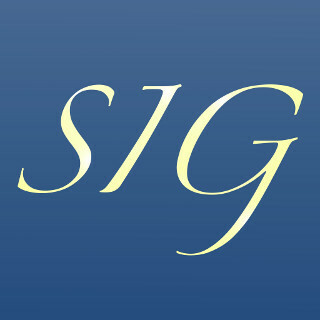 Signature Manager captures key information electronically and produces a clean, signed document. Do you require some customers to sign multiple documents at a time? Signature Manager’s group and sign feature lets you combine, display, and review multiple documents, so your customer only has to sign once. Do you want to have control over your document once it has been signed? Signature Manager allows you to dynamically generate .PDFs, email, print, or archive the document immediately after it is submitted. FormSprint has provided us with a reliable secure way to get that signature, which has paid for itself already and then some. Thanks FormSprint!! 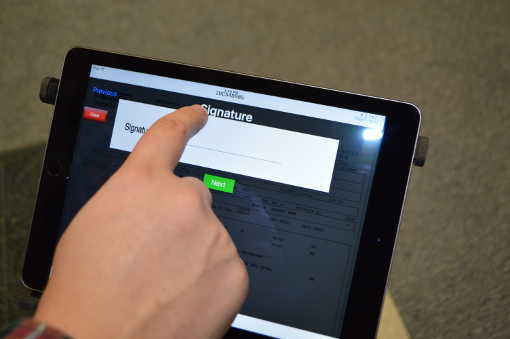 Signature Manager lets you collect a signature once on the iPad app and then save it to all of your current documents. You customer will see all of the documents put together into one PDF file, so that they know what they are signing. After the document is submitted, the signature gets placed on each appropriate page of that PDF file and stored separately on your IBM i system to make it easy to find later. 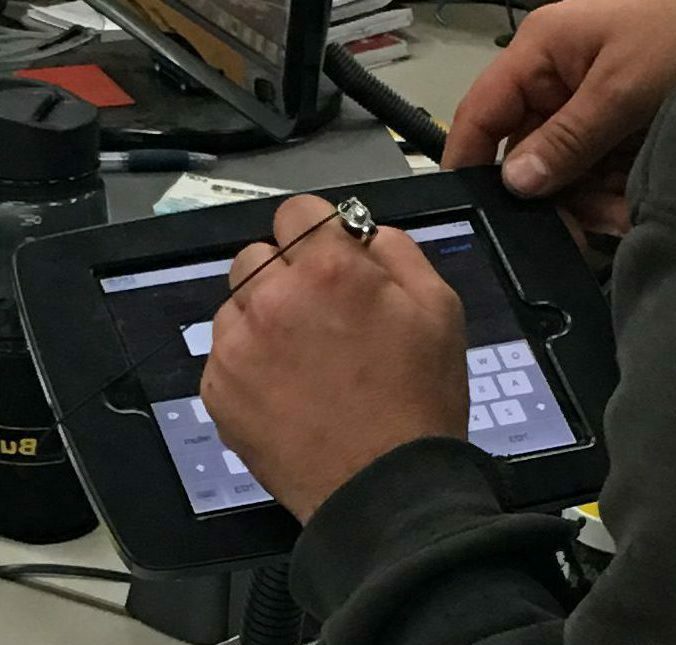 Your customer can see the completed file with signature on each page and email or print directly from the iPad. With Signature Manager you’ll never have to scan your internal documents again. All documents are .pdfs throughout their time in the system, and so they return to you as still searchable documents instead of images. This also means that you don’t have to run OCR programs which can be inaccurate and frustrating to use, and they require your employees to take time checking the OCR’s work. Signature Manager’s easy to navigate archive means you’ll never lose another document. Not only will you be able to access any document without digging through a file cabinet, but you’ll also be able to access them from wherever you happen to be, even in the field or away from the central office.